Nokia's release of the high-end N900 internet terminal / mobile phone might have been well received, but the firm is apparently not planning to follow it up with a slew of similar devices. 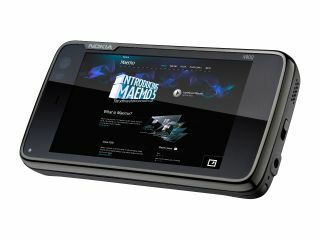 According to Reuters, a spokesperson close to Nokia's roadmap has said that Linux, the basis of the high end Maemo platform, will only be used on one phone next year. This means that Maemo isn't set for the expansion many expected in the next year, which is a shame given the warm reception it's been given, with some seeing it as the natural step up for Nokia to take on the likes of the iPhone in terms of usability. And this is also good news for Symbian lovers, as a Nokia spokesperson also confirmed that this mature OS will still be around for a good few years. "We remain firmly committed to Symbian as our smartphone platform of choice," the Nokia spokesman said. We hope that Nokia will consider changing its plans - while Symbian is an adequate choice for smartphones, many will be hoping the powerful Maemo will be used as Nokia shows no signs of joining the Open Handset Alliance and getting on the Android train.